VSPORT+ now over, see its final outcomes! 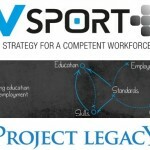 The release of the VSPORT+ final outcomes marks the culmination of the 29 months EU funded project. EOSE has been active in the field of sport and education for over 10 years and the VSPORT+ project was one of the most extensive and ambitious project in our history. Indeed, the project provided the opportunity to make a real impact at the national level within 12 different European countries and for the first time to engage with countries from outside the European Union (Australia and New Zealand). As the sport and active leisure sector continues to grow and flourish in Europe, sport organisations are increasingly seeking a range of competent and qualified individuals with new skills, who are often difficult to find in the established European labour market. At the same time, volunteers remain a huge part of the sector and are under increasing pressure to display the same skills as professional workers. These developments are adding pressure on the sector to review and modernise its qualifications and training systems. Indeed, sport and active leisure is clearly a sector of significance but one which necessitates a thoughtful and systematic approach to the development of the workforce (paid and unpaid). It is our belief at EOSE that to deliver new and different opportunities for everyone to participate in sport and physical activity, the sector must be equipped with a workforce possessing the right skills to lead and deliver to a new and expanding market. We are also fully aware of the potential of sport to deliver outcomes related to economic performance, health, and community cohesion and the growing expectations of Governments. As part of its mission, EOSE has always considered as important the development of innovative activities and tools directly linked to European initiatives to give the sport and active leisure sector legitimacy and also to increase recognition as an important and significant sector. The main focus of EOSE, and previous projects it has been involved in, has been workforce development and the implementation of lifelong learning and VET strategies. This is the backdrop against which the VSPORT+ project took place. 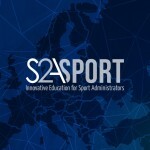 The VSPORT+ project, which was designed on the outcomes of the initial LLL Sport project , gave the opportunity to carry out a series of valorisation activities to disseminate and encourage the implementation of the 7 Step Model, but also to test it with new countries and more stakeholders. The overall conclusion is that the model can provide a valuable tool in the journey towards a competent workforce in sport in Europe. At this stage, we would like to give a warm thank you to the experienced and recognised National Ambassadors (chosen from the membership of EOSE in twelve different European countries) whose role and dedication had been crucial in ensuing a high level of engagement with key stakeholders in each country and the success of the project. What is certain is that the VSPORT+ project has allowed the sector to take a big step forward towards achieving its aims of a qualified and competent workforce and we could not have reach that point without the strong commitment of our network of partners, members and ambassadors. 4 April 2016 Take part to the European sport organisation online survey!